OKLAHOMA CITY — Shortly after his team completed one of the greatest comebacks in basketball history, Alex Caruso dashed into the Texas A&M locker room and wrote "Believe" on the whiteboard, underlined three times with two exclamation points. Somehow, the Aggies believed, even when no else did. No one else would have. After all, by any common sense or statistical measure, the Aggies had virtually zero chance to come all the way back from a 12-point deficit in 33 seconds. Yet Texas A&M did just that. The Aggies trailed Northern Iowa by a dozen points before they closed out regulation with a stunning 14-2 run that sent the game into overtime, then won it 92-88 in double OT Sunday night to advance to the Sweet 16 for the first time since 2007. It was, per the NCAA, the largest last-minute comeback in college basketball history. The previous record was set in 2005, when UNLV rallied from 11 points down with 59 seconds left to beat San Diego State in overtime. "We weren't ready to be done," Caruso said. "We kept just trying to make a play." At the moment when most teams might empty the bench or commit a series of half-hearted fouls, the Aggies kept trying to make a play. Instead of launching low-percentage jumpers, the Aggies drove into the lane for quick baskets. Instead of fouling, they pressured Northern Iowa into mistake after mistake. "We played the game the right way, even at the end," said Texas A&M coach Billy Kennedy, who admitted afterward he would need time to wrap his head around what had transpired. "We didn't have guys just coming down jacking up 3s. We tried to drive the ball." Down 69-57, Admon Gilder slipped around a boxout, grabbed Caruso's 3-point miss and put it back in for a bucket. Then a deflection forced Northern Iowa to inbound the ball from the side, and a pass intended for the Panthers' top shooter, Jeremy Morgan, was knocked away, which led to a Danuel House layup at the other end. "Coming back in the huddle with less than a minute left and seeing the freshmen and [their] fight. ... They kept telling us, encouraging us, to come on, that we've still got a lot of time left," said House, who scored all 22 of his points after the 5:14 mark of the second half. "We just didn't want to go home, didn't want the season to end." After House's basket, the Panthers passed the ball in to Paul Jesperson, the hero who banked in the winning shot from half court to stun Texas on Friday. This time, double-teamed and trapped, Jesperson aggressively tried to fire the ball off the leg of an Aggie. Instead, he bounced it directly to Texas A&M’s Jalen Jones, who went for an uncontested dunk. Northern Iowa started to panic. The Texas A&M continent inside Chesapeake Energy Arena began to believe. "It changed things when Bo [senior guard Matt Bohannon] got hurt [with a minute left in the game] because he's the one that's taken the ball out in that situation the entire year," Northern Iowa coach Ben Jacobson said. "So that immediately made things different. At that time in a game -- let alone this game -- really, the last thing you want to have is your inbounder not be there." Sophomore Wyatt Lohaus took over Bohannon's crucial role and threw the ball out of bounds while trying to get it to a teammate. That gave the Aggies possession underneath the basket, and Caruso found House open on the wing for a 3-pointer. "My teammates got the ball where I was able to score," said House, Texas A&M’s leading scorer, who missed his first nine shots Sunday. Bracket busted by the big upsets? 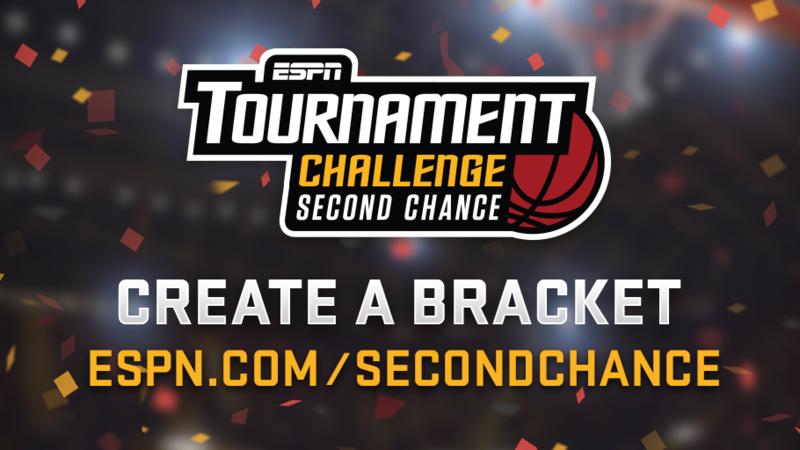 Take another shot at perfection and fill out a second chance bracket! Pick the Sweet Sixteen for a chance at $5,000! Even then, it looked as if Northern Iowa was going to finally put the game away when new inbounds man Jesperson found Klint Carlson streaking behind the press for a breakaway dunk with 17 seconds to go. Caruso, however, came right back, took the ball to the rim with a Eurostep and drew the slightest of fouls on Jesperson as he converted a finger roll. After Caruso nailed his free throw, Texas A&M trailed just 71-69 with 11 seconds left. All the Aggies needed was one more defensive play. This time, Northern Iowa got the ball to its senior leader, point guard Wes Washpun, who was spectacular in the win over Texas. But Gilder and Anthony Collins blanketed Washpun near the corner. Without a timeout to call, Washpun tried to throw the ball off of Gilder or Collins. Instead, he stuck a bounce pass into the chest of Gilder, who glided in for a tying layup. "They just made a bunch of great individual plays," Washpun said. "We turned the ball over, we made some mistakes, and they capitalized on it." All told, in the final 33 seconds, the Aggies forced four turnovers and made six field goals -- the same number of baskets they made in the entire first half. "We just kept telling ourselves to keep fighting until the end," Jones said. "We knew if we just kept fighting until the end, we'd have a chance." Northern Iowa didn't give up easily, either. Behind Morgan's 36 points, the Panthers hung tough through both overtimes -- even after Jesperson and Washpun had fouled out. But this was Texas A&M's night, and the Aggies held Northern Iowa without a basket in the second overtime while finishing off their miracle. "The fight we showed was a testament to this team," Caruso said. "The heart that we have." And the belief. Which never wavered. No matter what.